Himalayan glaciers are melting. 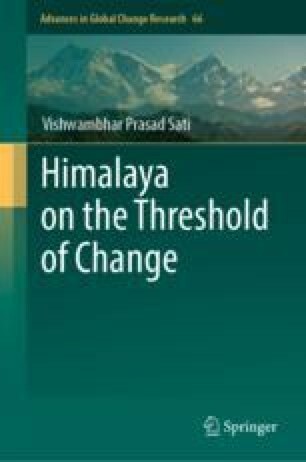 In this chapter, an inventory of the glaciers of the Uttarakhand Himalaya is prepared and a wide discussion on climate change impact on the Himalayan glaciers was carried out. The Himalaya possesses a number of glaciers, because of high snow volume. It has been observed that during the recent past, the high variability and change in climate has largely impacted the Himalayan glaciers and the trend is that the glaciers are melting and a number of them have already disappeared.